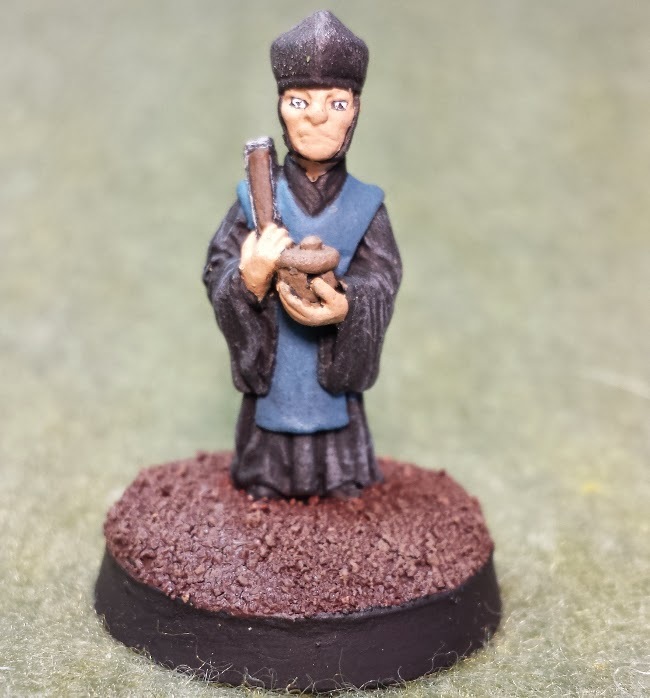 While searching through Ebay for a couple of minis to use as NPC for JADE's Oriental Adventures Campaign, I stumbled upon a couple of lead miniatures from the 80's. They claimed to be part of the Oriental Adventures minis released around the same time. I couldn't find any verification as to what they were, but they were cheap, so I snagged them! 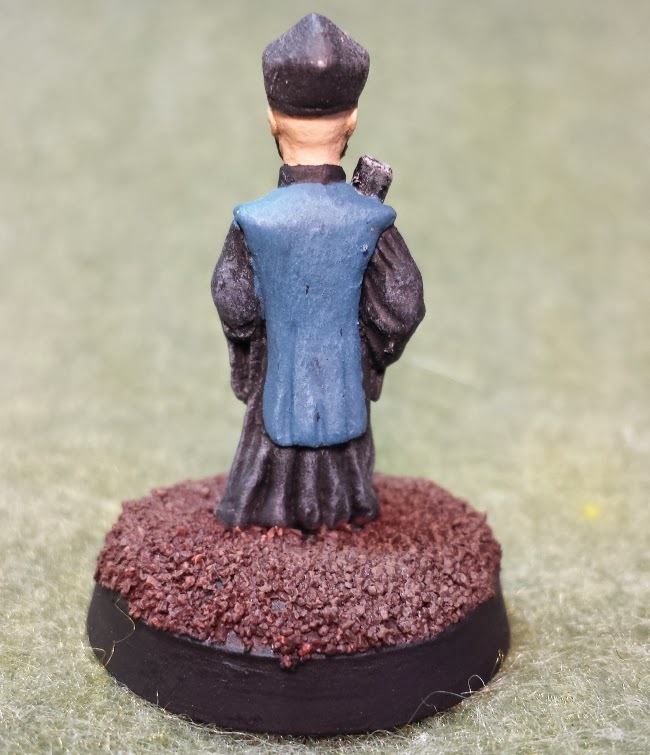 The first one I painted was this fellow, who I thought would serve as a good town magistrate, or something similar... 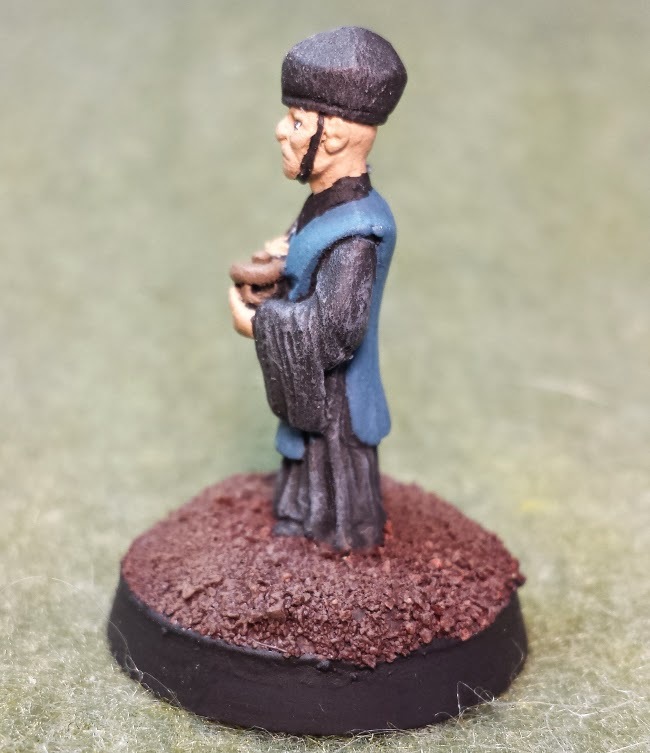 Although being the only Male Oriental Adventures NPC we have, you will probably be seeing him a lot. He is definitely not my best work. But we will serve his purpose well enough!